In 2007 New Jersey Governor Jon Corzine commuted the sentences of eight death row inmates just before signing a bill passed by the legislature that repealed that state's death penalty. Illinois Governor Pat Quinn did likewise in 2011 just before he signed into law the repeal bill in their legislature. The inmates Governor Quinn provided clemency to were all condemned to die after Governor Ryan had cleared the row in 2003. Commutation of death row inmates does not eliminate the death penalty. The process carries on with new prosecutions, trials, convictions, sentences and appeals. The most recent commutation was by Maryland Governor Martin O'Malley in 2015. His clemency order took place after the state legislature had passed a repeal bill that was not retroactive, leaving three men on the row after the legislation stopped all future death sentences. All of the six governors acted as they were leaving office. Acts of this nature are politically risky. Great courage was needed in every instance for the governors to act. Governor Kitzhaber demonstrated great courage when he declared a moratorium on executions in 2011. His leaving office was abrupt, as pressure mounted around charges of "influence pedaling" escalated. Governor Kitzhaber devoted much of his adult life to the betterment of Oregon. With his moratorium he championed the cause of abolition. He heightened the discussion on the death penalty and importantly stopped executions during the remainder of his term in office. We will carry on. The repeal of the death penalty depends on convincing a majority of the voters to cast their ballots for a more sensible public policy. Repeal of the death penalty depends on legislators rallying around a public policy that does not waste taxpayers money and redirects funds to programs that will deter violent crime and murder. Repeal of the death penalty depends on enough of us speaking up, reaching out, urging a robust discussion about the death penalty and getting the issue on a ballot. Let's not blame Governor Kitzhaber for not doing our job. Let's just do it. Out of darkness, comes light. 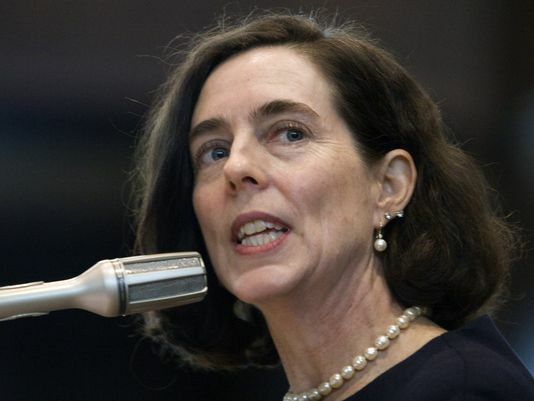 On Friday, Feb. 20th, in her first official press conference, Governor Kate Brown announced that she will continue the moratorium on executions. In answer to a reporter's question, the Governor said, "There needs to be a broader discussion about fixing the system. Until that discussion (happens) I am upholding the moratorium... imposed by Gov. Kitzhaber. OADP, and the entire abolition movement across the country applaud Governor Kate Brown for her decision. As it does each year, the Death Penalty Information Center (DPIC) published its year-end report for 2014* in December. • The Hastings Law Journal published a study finding that "Over half of the last one-hundred executed offenders had been diagnosed with or displayed symptoms of a severe mental illness." • Washington Governor Jay Inslee joined Oregon's John Kitzhaber and Colorado's John Hickenlooper in banning executions in his state for the remainder of his term. New Hampshire came within one vote in its state Senate of repealing the death penalty. A California federal court judge ruled that state's death penalty unconstitutional because of its arbitrariness and lack of any penological purpose. The ruling is on appeal. What is the significance of these national developments for Oregon? For one, the declining use of the death penalty demonstrates that our country is recognizing that capital punishment is not a legitimate or effective component of criminal justice policy. Oregon citizens must come to understand why this is so, and act to replace it with a more rational response to the crime of aggravated murder. Just as important, however, these developments should remind us that our voice matters in the national debate. It is well-settled law that the determination of what is "cruel and unusual punishment" depends on the "evolving standards of decency that mark the progress of a maturing society." (Trop v. Dulles, 356 US 86, 1958) As more states repeal or reduce their use of the death penalty, our evolving national consensus will become more and more apparent, and our Supreme Court will be compelled to recognize that the death penalty is no longer acceptable to Americans under the Eighth Amendment of our Constitution. Achieving repeal of Oregon's death penalty will be a major step forward toward our ultimate goal of abolishing capital punishment nationally. the High Cost of Seeking "Death"
The estimated average difference in total costs when a death penalty is sought, versus an aggravated murder case when death is not sought, is $1,058,885 more. According to a new study done by Criminal Justice and Law professors at Seattle University, data confirms what many other state studies have determined, the death penalty is much more expensive than alternatives such as "life without the possibility of parole". The purpose of the study was to estimate the costs associated with pursuit of the death penalty, as compared to cases where the death penalty was not sought, for aggravated first-degree murder in Washington State. The study examined 147 murder cases, since 1997. The all-inclusive costs for cases when a death penalty was sought were $3.07 million, versus $2.01 million, a difference of $1.06 million in 2010 dollars. Adjusted to 2014 dollars the difference is $1.15 million. Included in the total cost estimates were those of prosecution, defense, court, police/sheriff, jail, personal restraint petition appeals and post-conviction incarceration. While this is a study for Washington cases alone, the results are consistent with the sixteen other state studies that can be found on the www.deathpenaltyinfo.org web site. The unavoidable conclusion is that the death penalty is much more expensive to maintain than a system that has life without parole as an alternative maximum punishment. Of particular interest is the finding that the prosecution side spends 33.6% more than the defense when death is on the table. The study points out that prosecution costs for a death case are $1,134,250, while defense costs are $848,948. This comparison will be helpful when a estimating costs in Oregon, where the District Attorneys are reluctant to divulge their expenses for death penalty cases. To read the full Washington report, go to Seeking death penalty adds $1M to prosecution cost, study says. The OADP Advisory Council is extremely helpful to OADP's efforts to move toward repeal in Oregon. With the recent addition of four new members, the council now numbers one hundred. The main roles of Advisory Council members is to advise, network, engage in outreach tasks, speak out when called upon and help OADP broaden the mission to repeal the Oregon death penalty. They do this valuable work without having to attend meetings. Joining the council in the first part of 2015 are four outstanding Oregonians, who in their own endeavors are already doing great work in their areas of interest, yet see the connections to help in our repeal efforts as well. Dennie Brooks is a passionate advocate for mental health and those with mental illness. Her father, Dr. Dean Brooks, who served with great distinction as the superintendent of the Oregon State Mental Hospital, was one of our first Advisory Council members. After his passing, we still list him as a "member in memorial". Dennie and her two sisters carry on their father's work with great energy here in Oregon and around the country. She was a key figure in the establishment of the Oregon State Mental Hospital Museum. She also works nationally to rectify what is known as the "criminalization of the mental health system". Dennie is an active member of St. Paul's Episcopal Church in Salem. Allen Taylor, owner of NowVideo, has been doing outstanding video recordings for OADP over the past two years. His work is seen on our www.oadp.org web site as Facebook and You Tube postings. He has done recordings an editing of OADP's ecumenical banquet, personal profiles of abolitionists, the World Peace Day/ Troy Davis Celebration on the State Capitol steps and most recently the lecture by Sister Helen Prejean at Lewis & Clark College. Allen is an extremely talented videographer and a long-time peace advocate. The third new council member is Becky O'Neil McBrayer, program manager at St. Andre Bessett Church in downtown Portland. Becky lost her mother and step-father to murder several years ago. She has always been against the death penalty, even in the face of such a tragic family situation. She has recently decided that it has become important to share her story and speak out publicly. In April of 2014, Becky joined Murder Victim Families for Reconciliation, a national group of murder victim family members, all of them against the death penalty. Her work in Oregon will become particularly important giving testimony that another death, in the form of a state-sanctioned execution, does not honor her lost loved ones. Bruce Stock becomes the 100th member of the OADP Advisory Council. Bruce is retired after a 30 year career as a recreational specialist at the Oregon State Hospital. His history of non-violence is legend. When asked why he wished to serve on the Advisory Council, Bruce said " Being a conscientious objector opposed to war and the taking of human life, we need to have fair and compassionate methods of dealing with offenders against society. Executing people is not the direction to go". He referred to the famous Gandhi quote "An eye for an eye, make the whole world blind." During the Viet Nam war Bruce performed alternative service at St. Luke's Hospital in San Francisco. He continues his peace activism as a former board member of Fellowship of Reconciliation - Salem, a member of the church council at St. Mark Lutheran Church and is a member of the Alternatives to Violence Project. Nominations to the OADP Advisory Council are always welcome. Those serving now are all very valuable to our efforts and work. 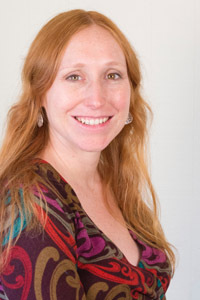 In January Kate Gonsalves joined the Oregon Justice Resource Center (OJRC) as its new Director of Policy and Advocacy, focusing on political strategies and strategic coordination to repeal the death penalty in Oregon. 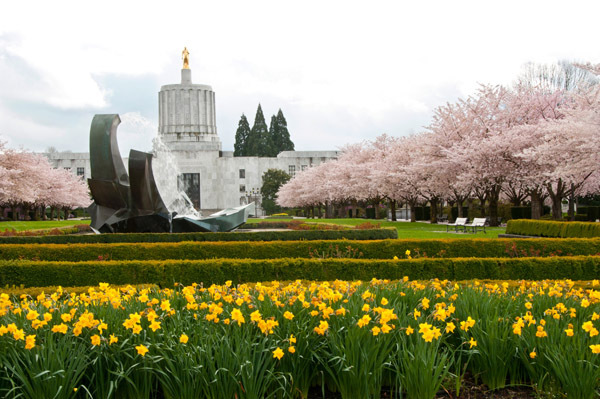 OJRC is one of the organizational partners in the "Working Group" that is striving to build capacity and infrastructure to expand the statewide discussion around repealing the death penalty in Oregon. In addition to Oregonians for Alternatives to the Death Penalty (OADP), the Working Group consists of six other organizations: OJRC, ACLU of Oregon, Amnesty International, Ecumenical Ministries of Oregon, Oregon Criminal Defense Lawyers Assn. and Oregon Capitol Resource (OCRC). "Throughout the nation we are seeing that there is a growing concern about the use of the death penalty, I am thrilled to work on this issue at this time in Oregon." says Kate. Kate brings over a decade of campaign organizing and political experience to the organization. Most recently she led campaigns and engaged community groups in passing successful ballot measures at Our Oregon, a 501(c)4 organization dedicated to fighting for economic and social fairness for all Oregonians. Kate holds a master's degree in politics from the University of British Columbia. Racial justice is deeply important to Kate, a result of growing up in Hawai'i and studying critical race theory under Dr. Angela Davis. She is passionate about ending the death penalty, and in addition to her other advocacy work with unions and progressive nonprofits, she worked on the Military Death Penalty Project with Dr. David Baldus. Now ten years later, she's excited to return to death penalty work utilizing the wide-ranging political skill sets she gained from running political campaigns. On January 27, Kate met with the members of the OADP board to hear firsthand diverse perspectives including people of faith, victims' family members and former corrections department executives. "I'm deeply moved by your hard work and the personal accounts you've shared; these are stories that need to be heard. There's a great deal of work to be done especially around issue engagement and public education. I'm excited to get to work. ", Kate says. As we continue forward with an effort to end the death penalty in Oregon, please join the OADP board in welcoming Kate Gonsalves. Since the death penalty is imbedded in our Oregon Constitution, it will require a vote of the people to change the law. Getting the issue on the ballot can be accomplished in two ways. The first is by legislative referral, which would entail both houses of the legislature to agree and pass a bill to place the issue on a ballot, in a general election year (even numbered years). The second means of getting an issue on a ballot is by initiative, which requires gathering a large number of signatures. That number is based on eight percent of the number of votes cast in the most recent general election for the office of governor or president. In the 2014 election, there were 1,469,717 votes cast for all gubernatorial candidates. Eight percent of that number means that at least 117,577 valid signatures must be secured to place an issue on the ballot. Both mean of securing a ballot measure have advantages and disadvantages. The initiative route is much more expensive. Reports show that recent initiative campaigns can cost hundreds of thousands of dollars just to collect the required number of signatures for a single issue. The referral route is much less expensive, yet it has its challenges as well. In order for legislators to support an issue they must have a strong sense that constituents want an opportunity to vote on a particular issue. When it comes to the death penalty, members of both the House of Representatives and the Senate need to know that people care about our issue. With this knowledge we are providing some tips and information on how to let your representative and senator know how you feel about the death penalty and that you are eager for replacing it with a more sensible public policy. If you do not know who your representative and/or senator is, the easy way to learn would be to check the district on your voter card or go to the www.oregonlegislature.gov web site. When on the site, to the right hand side of the home page, you will see a rectangular box with four brown bars; the last (bottom) title is Find My Legislators. When you fill in your address and select Go, you will first see a map, it will lose focus, and a smaller box will appear mid-screen, displaying the name and district of your senator. If you move to the right and hit the House tab, it will display the district and name of your representative. When you know the name and district of your legislators you can easily find their contact information. While on the web site, go back to the Home Page and at the top you will see the box for Senate and listing for "All" or by "District". When you find your senator you will find his or her phone number, mailing address and email address. Additionally, you will find a link to your seator's individual web page. 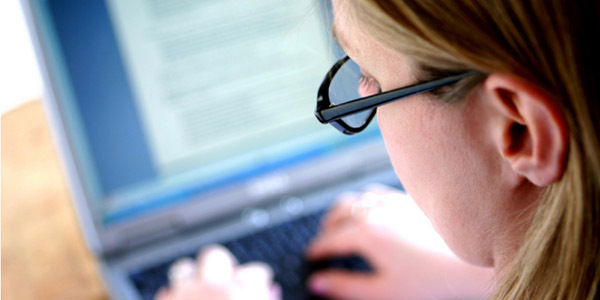 There you may find contact information for a district office, but not always. Each individual web site has a box on the far left that has a biography, new/information, events, a district map and committee on which they serve. The same format exists for each member of the House of Representatives. Some tips that make contacting easy to remember... all phone numbers are similar, except for leadership. Each senators Capitol phone number is similar with (503) 986-17__ then the district number for the final two digits. The Majority Leader in the Senate (Rosenbaum) is 1700 and the President of the Senate (Courtney) is 1600. For the House members, the Capitol phone numbers are similar (503) 986-14__, with the last two digits being their district number. Single digit districts are 01 or 02, etc. The House Majority Leader (Hoyle) is 1900 and the Speaker of the House (Kotek) is 1200. Again, it is important to contact your legislators to let them know how you feel about the death penalty. You are encouraged to call, write a letter or email or visit with your senator and representative. The reception will always be better when legislators hear from their own constituents. Mass mailing to all members are not nearly as effective as targeted messages by constituents. Your messages and in-person conversations should reflect your major concerns and issues as to why you support repeal. Listing all the reasons for repeal may not be as impressive as fewer, but personalized items. Going to our www.oadp.org web site, in the banner across the top, under FACTS, you will find information on several aspects as well as one document that list 13 reasons to oppose the death penalty. Also, under ISSUES, there are other documents that provide background to frame your own personal message.
" I am a voter and live in your district. The death penalty is wasteful of resources that would be better spent on programs that deter violent crime, provide rehabilitation programs for the addicted, and provide services for murder victim families." "The death penalty does not deter violent crime and murder. The alternative of "life without parole" provides adequate punishment and keeps the public safe." "There is always the chance that an innocent person could be executed. 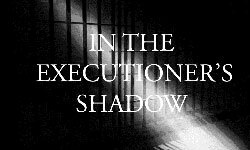 There have been 150 innocents exonerated from death rows since 1973. No one knows for sure how many innocents have been executed." "The death penalty is not administrated fairly. A disproportionate number of those getting a death penalty are people of color. Of the seven men exonerated in 2014, six were African-American." Personalize your comments and use the resources on the www.oadp.org web site to provide background and facts to frame your comments. We still do not know if we can move forward with a legislative referral in this 2015 session, but it is still important that you let your legislators know that you are out there, caring, and paying attention to this issue. Your engagement is very important. Call write or visit with varying messages as often you feel comfortable. Getting on the ballot is the first major hurdle. After that there will be a campaign to get out the vote. Both require enormous efforts to educate, motivate and mobilize voters and legislators. Your individual efforts are very, very important. Outreach events are vital to our success in educating, motivating and mobilizing both legislators and voters. We ask all OADP members/supporters to provide suggestions or help in setting up more of these opportunities. It matters not if the group is large or small, being out there with our speakers leading discussions is the way that we help to move the needle of public opinion. Please call (503) 990-7060 with your ideas or offers to help set up as many outreach events as possible. Sunday March 15 Dorchester Conference, in Seaside. Convention of "moderate" Republicans. Wednesday, March 25 Sheridan Rotary Club meeting program. 12 Noon, at Lee's Green Frog Restaurant 119E Main St. OADP program presentation. Visiting Rotarians welcome. Saturday April 4 Frank Thompson Keynote Speaker at Oklahomians for Alternatives to the Death Penalty. Top national abolition speaker to be announced as soon as details are finalized. The OADP Correspondence Committee welcomes committed individuals to participate provides guidelines for corresponding and visiting a prisoner on death row. Support is available to answer your questions and facilitate a visit to the prison. Many of our participants have been involved for over 15 years in developing a mutually positive relationship. At times your involvement may be extremely rewarding, but may also be very frustrating on various levels. Your willingness to correspond may at first be suspect, but ultimately appreciated when there is a realization that someone cares if they live or die. There are no guarantees except that most of our dedicated members have found the relationship with a death row inmate to be a positive and significant personal learning experience. After a couple years of involvement, one program member told her pen friend that "he was a blessing in her life", something he couldn't fathom.